is collected in the air receiver. a valveat the bottom of the air receiver. 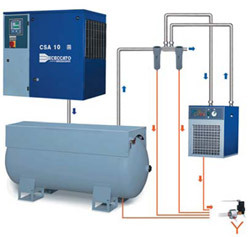 Atmospheric air is compressed by the compressor and stored in the air receiver, then filtered and dried before entering the air network. 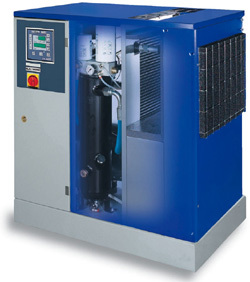 Condensates formed during the various compressed air treatment phases are automatically drained.